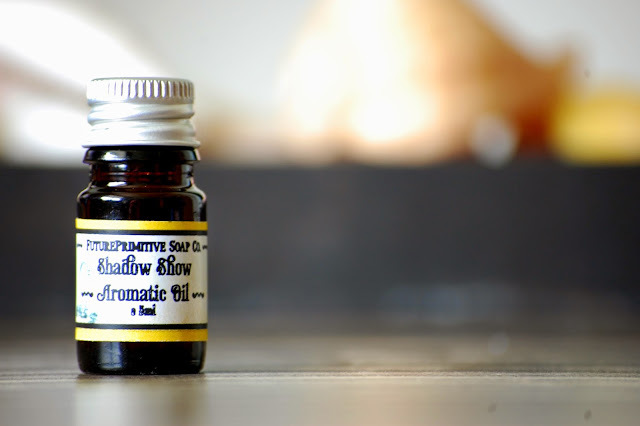 Shadow Show Aromatic Oil was my perfume of choice recently and it was a good day. This fragrance is probably better suited for cold weather rather than summer time heat and humidity. It is a rich sweet dark plum compote with pomegranate juice and spiced with cinnamon, nutmeg and clove. There is a nice woodsy amber base holding the potential sweetness at arm's length. The sillage is about medium, I could smell it wafting around my body as I moved about my day. It lasted about 7-8 hours. I am looking forward to scent layering with Shadow Show this fall and winter, using the coordinating body butter, soap, and (hopefully!) conditioning rinse. I am sure using all the products will create a sillage monster but don't fret... your demise will be quick and beautiful, engulfed in the scent of Shadow Show. I got this little gem as a sample when I ordered the perfume oil. I am equal parts ecstatic and horrified. I have been wanting to try her wax, but now it is discontinued. It is in a scent I adore but what if I melt it and then NEED more of it?! I cannot procure any more! What do I do?! Seriously. What do I do? Just sniff it indefinitely or throw caution into the "trade" wind, seize the day, and melt this bad boy. The wax deliveries have been coming in while we are away. Up The Creek, Beezy, Front Porch have arrived and I finally placed an order with Make Scents. And of course Rosegirls and Sniff My Tarts are pending :-) What wax are you waiting on? Lol. Are you FP newsletters coming through now? The summer clearance is on! And some new test soaps are up. I did get one! Thanks Jean! 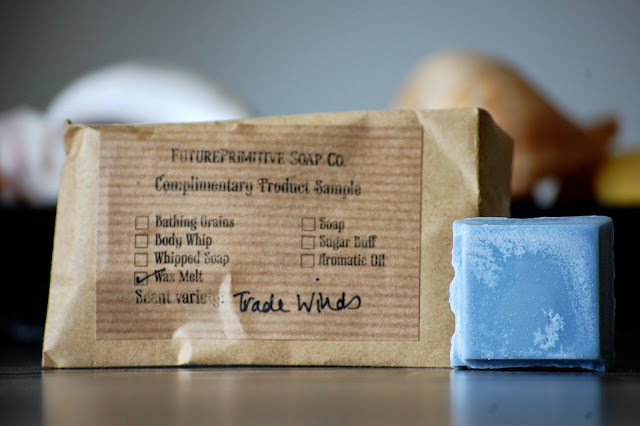 I am sitting this one out but hoping tobacconist soap hangs around for a bit. Are you eyeballing anything or holding back? The Rolling Hills soap I got last year was lovely and had a great throw but faded quickly in the heat, so I am thinking I need the perfume and a bath bomb.